The Consumer Financial Protection Bureau published the 18th edition of its Supervisory Highlights this week that included an explanation of the timelines and processes that HECM servicers follow when working with the successors in interest (heirs) after a loan is called due and payable. The latest edition of Supervisory Highlights summarized examination trends and enforcement actions taken from June-November 2018 and included information on other types of loan servicing activities besides reverse mortgages. The information contained in the report was disseminated to help institutions better understand how the Bureau examines institutions for compliance with those requirements. 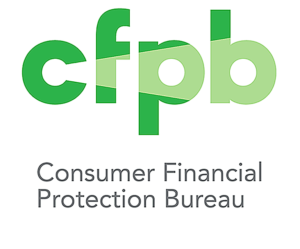 The CFPB found that some successors in interest did not receive a complete list of all the documents that would be needed to effectively evaluate them for a 90-day extension that would give them more time to purchase or sell the property. “As a result, the servicer(s) did not seek an extension for these successors. Instead, the servicer(s) assessed foreclosure fees and in some instances foreclosed on the property,” said the CFPB. The Bureau did not find that this conduct amounted to a legal violation, but the servicer(s) agreed to improve communications with successors, including specifying the documents successors needed for an extension and the relevant deadlines.